It’s hard to execute a really surprising new car unveiling these days; between Instagram, Youtube, and the fact that almost everyone carries a device that doubles as an HD camera and personal computer, there are almost too many ways for a new product or design to leak to the Internet to count. 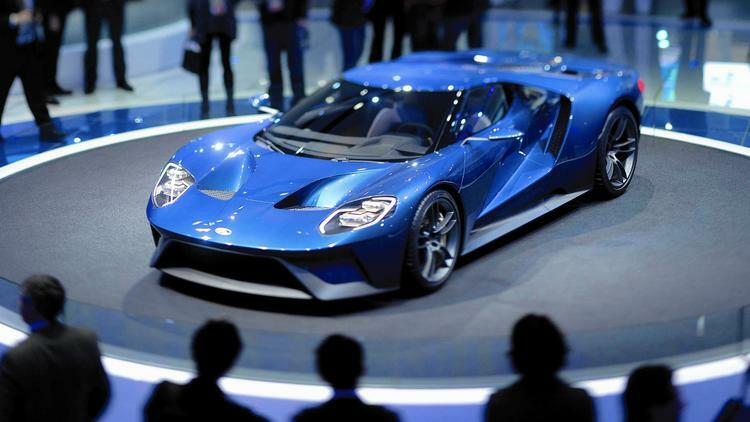 Yet when Ford introduced the reborn GT at the 2015 North American Auto Show, they managed to do the unthinkable: introduce the world to a jaw-dropping supercar that no one saw coming. The 2016 Ford GT was designed in a basement to ensure absolute secrecy, so its Motor City debut wasn’t so much a big reveal as it was a show stopper. Yet more than a year after its first bow, the GT seems just as magical and surprising as it ever has. What has changed since last January is the amount of time we’ll have to wait to see one of these beauties in person. Ford is only going to make 250 GTs over the next few years, so it’ll be hard to get one in our showroom. But since the application to own one requires you to promise to drive it frequently, maybe someone will be kind enough to drop by in his or her GT for some free coffee and congratulations on driving the nicest car on just about any road.